Paying attention to your oral health has long-term benefits. Brushing after every meal, flossing daily, and seeing your dentist regularly can help your teeth last longer and keep your smile brighter your entire life. After your baby teeth are replaced with your permanent teeth, they don’t grow back again. 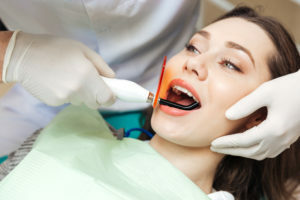 So when your teeth become diseased, cracked, or weakened, they either need to be repaired or removed and replaced with some artificial dental solution such as a bridge, a crown, or dentures. Nature’s engineering is incredible. Your original teeth will provide you with the ability to bite, chew, and grind food your entire life if you take care of them properly. But when you replace natural teeth with man-made solutions, they can never be as strong or as optimal as the originals. Once your teeth are modified or pulled, they may continue to degrade, requiring additional care and attention throughout your entire life. If you don’t take care of your teeth when you are young, by the time you reach your golden years, you may end up with only a few of your natural teeth left. Or you may not even have to wait that long. Admittedly, daily dental care can be cumbersome. But when you consider the lifelong benefits, it’s worth it. Taking care of your teeth now can ensure you will have healthy, fully functional teeth throughout your entire life, even into old age. Plus, once you get into the habit of brushing and flossing regularly and seeing your dentist frequently, it can become part of your everyday habit. And considering the alternative, it’s an investment that pays huge dividends throughout your entire life. You only get one set of adult teeth. Make the most of them and they will give you a lifetime of comfort and security.